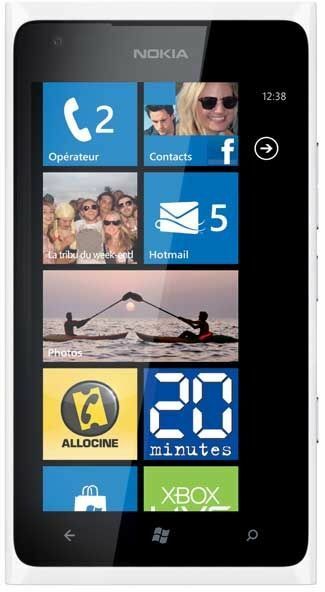 The Lumia 900 is brought to you by one of the best brands in the mobile industry, Nokia, with user friendly features and a powerful camera with advanced functions, superb performance in terms of speed, bright and clear display with the best technology and sensors and good storage capacity. What more do you want? Enrich your viewing experience on this Nokia phone; as it boasts a large and dazzling 4.3” touch screen having the Corning Gorilla Glass and AMOLED display technology. The phone also has an ambient light detector, orientation sensor, brightness control and proximity sensor. With the perfect visuals and the ever dynamic Microsoft Windows Phone 7.5 Mango operating system, along with the 1.4 GHz Scorpion and 512MB RAM, you will thoroughly enjoy using this phone. You can connect the internet through Wi-Fi, 3G, Edge and GPRS. You can access your emails as well as view and edit email attachments. Furthermore, you can simultaneously access multiple email accounts. This Nokia phone understands the needs of being socially connected in today’s world. It supports various instant messaging services like Facebook chat, LinkedIn and Twitter. The other wireless connectivity option the phone offers is Bluetooth, DLNA and WLAN. It even has a 3.5mm Universal audio connector. 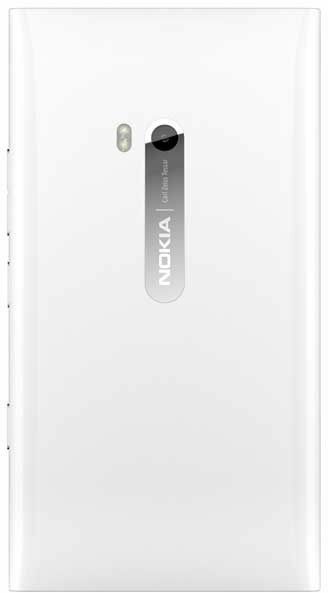 This Nokia phone is packed with a powerful 8 megapixel auto focus camera and 1 MP front camera. The camera has a Carl Zeiss optics and dual LED flash, which allows you to take dazzling and vibrant images. The camera on this Nokia phone is preloaded with the following functions such as Touch Focus, Geotagging, Auto and manual white balance and Auto and manual exposure. It even has capture modes such as Self-timer, still and panorama. The phone also has many scene and white balance modes. You can also record 720p videos with the Nokia Lumia 900 at 30 frames per second. You can also make video calls with this phone. The phone offers various entertainment options for you such as FM radio, music and video player. The phone supports host audio and video formats. This phone has enough room for your music library, video and other content. It comes with an internal memory capacity of 16GB. The phone is powered by an 1830 mAh battery. 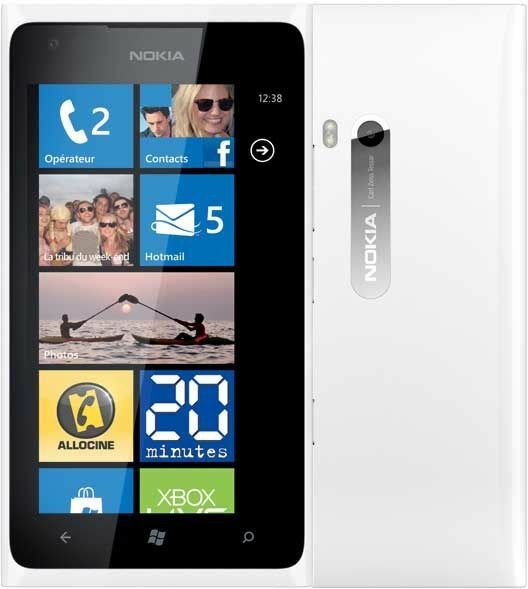 With so many applications made available to you, a superb display and operating system, you will not be able to get your hands off the Nokia Lumia 900. I am big Shahrukh Khan fan and ever since I have seen him in Nokia Lumia’s ad I wish to buy it all the more. I am hoping to get this one in Christmas and begin my new year with this stylish phone. I am very choosy when it comes to selecting a mobile phone. Nokia wins it all the time with me as it is the most durable, technically sound with good battery life and chock-a-block with latest functions and apps. Nokia Lumia 900 is just the perfect blend of all these features and hence its an ideal phone I have opted for and to top it all I came across this amazing discount offer of Infibeam. Its most certainly my ideal mobile phone now! This is a real good phone with excellent features and a powerful camera. The camera has some real superb functions with excellent performance. Good speed, clear pictures and great storage capacity in the phone. I am truly in love with my Nokia Lumia 800. I m very happy with this phone, as it has been made with the best technical requirement you say it the processing system, the camera, the battery. The best part its from the house of Nokia. Its easy to use and fun. Nokia's has just done up with one awesome phone. Superb features and an awesome handset. The best part is the Camera. It has a 8 MP Camera with dual flash. Lovely picture clarity and quality. Captures moments so clearly, don’t actually need to carry a camera when out with friends and capture the special moments in form of photos or videos. I am thrilled to have a phone like this.